Perhaps on the flight to Bali you spent some serious time with airport-literature-goliath Malcom Gladwell and his manifesto on the virtues of doing something over-and-over again, Outliers. If you missed it, here’s the key point: it takes about 20,000 hours of practice to master something. What this means is that Pak Dobiel has probably mastered preparing Babi Guling about fifteen times by now. 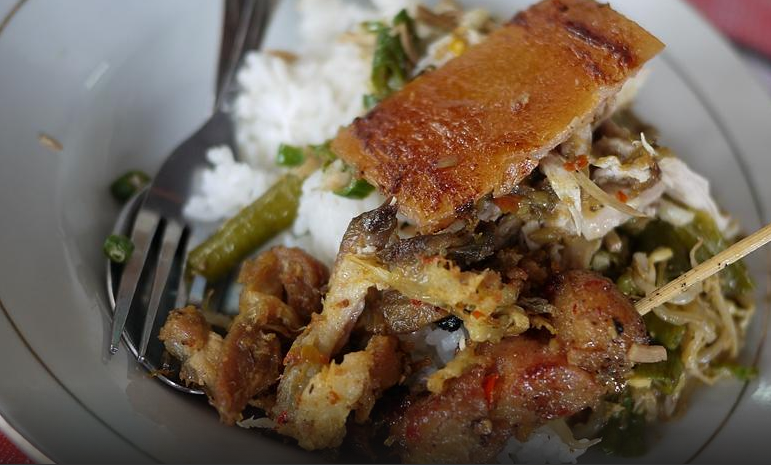 Babi Guling — the food/art/cultural triumph that is the whole roasted Balinese pig — is maybe one of the most delicious things to have ever been achieved in a kitchen. When you see the ingredients list and cooking instructions, it all seems pretty simple. Pak Dobiel is proof that it most certainly is not. Babi Guling is literally a whole roasted pig, filled with spices, and then slow roasted. This isn’t a dish that gets improved by the cook messing with the recipe — that would be something akin to sacrilege. Its not a food that has ‘evolved’ to become what it is today. The quality of Babi Guling comes down to the years the cook has under their belt: subtle adjustment and refinements and a master eye for detail. You’ll rarely have a bad plate, but you’ll never forget when you’ve had a plate made by someone who has put the time in. 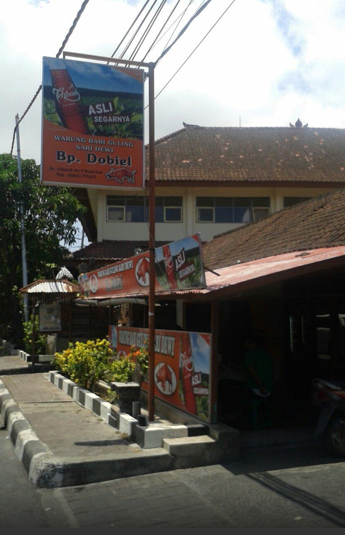 Pak Dobiel’s warung in Nusa Dua has become part of a holy trinity of Babi Guling restos, seated comfortably next to Ubud’s legendary Ibu Oka and Pak Malen’s beloved shop in Kuta. 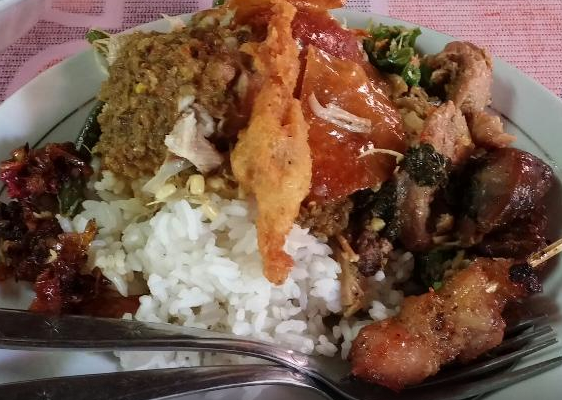 The plates are simple and the ingredients honored with mixed plates of savory white meat, suckling pig skin, occasionally eye-wateringly spicy sausage, and mixed Balinese greens. It’s food so simple that only a master could prepare it correctly, and Pak Dobiel is the man for the job. You will not be waited upon, you will be fighting for space with locals, and if you think you’re showing up at 4pm, you’re going home hungry, because when the pig is gone, they’re done for the day. This is the soul of the Balinese people, on a plate, and it is uniformly amazing in ways that defy adjectives and are usually expressed in groans of contentment. 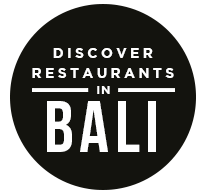 Download the Qraved app for iOS and Android to receive updates on all of Bali’s latest babi guling news — and other, lesser foodie information. The post Babi Guling Pak Dobiel Answers All Of Life’s Important Questions appeared first on Qraved Journal.